In this current era Unemployment is the situation in which one don’t even have any opportunity to do the job and earn. An without a job person cannot earn his or her living. S/He has to rely on others. He is thought as being a burden to the whole family also in the society. And so, it is regarded as being a vast problem in Bangladesh. Unemployment is one of the major problem in Bangladesh and common problem all around the world. No country on the globe is completely is totally free of it. But Bangladesh face a big trouble for this problem. Instead, this problem is very serious within our country. Many people are badly experiencing the curse of lack of employment and because of this problem many corruption are occur. 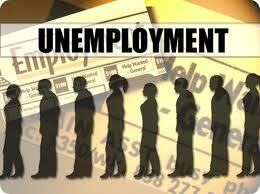 There are various direct or indirect reasons behind unemployment. They are the following: Our country is in excess of population. The rate of population growth is incredibly high. So the present career facilities cannot keep pace using the growing population. Although, our country isn’t developed in industries and agriculture. Industry can absorb only a limited number of people and many of this employee are not satisfy with their job and salary. Yet again, our education system is very defective and worst situation. It is traditional and is determined by memorization. It does not cause them to become self-reliant and self-dependent. There is less chance of vocational training in our education. So, only the memorized bookish knowledge doesn’t help students in the job field also life. Also, our students have the negative sense of prestige to be officers. They hanker after limited to official related jobs. So these people remain unemployed. Then, there exists serious lack of competent manpower. This limits the actual scope of jobs. We have a lot of natural resources but most of us cannot use these correctly. Which causes the problems gradually increased. Ultimately, many illiterate people trust a false notion for instance “What is looted can not be blotted”. This negative take on life creates unemployed people. Unemployed people neglect to maintain themselves and their families also society. They lose their psychological peace and social position. We know that a idle brain is devil’s working area. So they commit quite a few crimes. This is growing social crimes and hampering interpersonal peace in our society. Political damage and unethical value and crime are increased because of unemployment. To control this problem government also we should bring our population growth under control. New mills and factories should be increase in outside the city and practical based education should be develop.